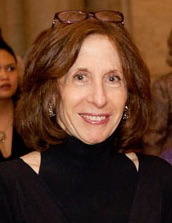 Jean Strouse is the Sue Ann and John Weinberg Director of the Dorothy and Lewis B. Cullman Center for Scholars and Writers at The New York Public Library. The author of Morgan, American Financier, and Alice James, A Biography, which won the Bancroft Prize in American History and Diplomacy, Strouse has published essays and reviews in the New Yorker, New York Review of Books, New York Times, Newsweek, Architectural Digest, and Slate. Strouse has been President of the Society of American Historians, a consultant to the Bill & Melinda Gates Foundation, and a Fellow of the John D. and Catherine T. MacArthur Foundation. A member of the American Academy of Arts and Sciences, American Philosophical Society, and Executive Council of the Authors Guild.